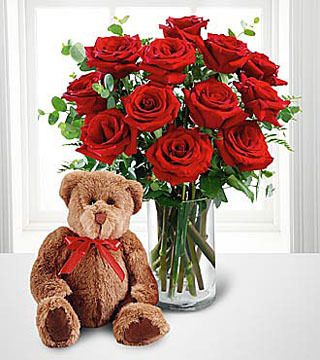 Make her day! 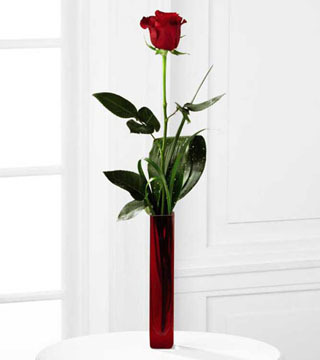 Send your special someone this charming bouquet arranged in a ruby red glass cube. 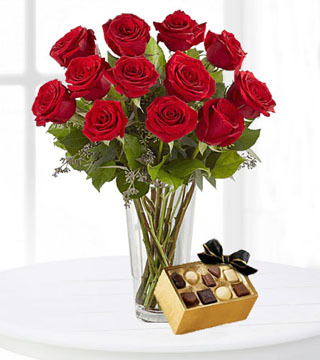 It's a gift that will surely delight! 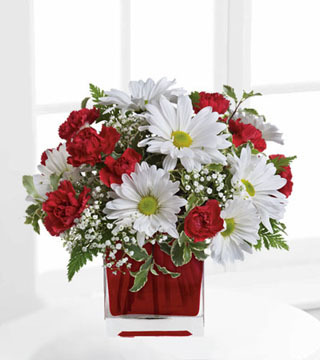 Includes miniature red carnations and white daisy chrysanthemums, accented with fresh greenery. Delivered in a glass cube.